So Fox has just unveiled their trailer for the upcoming Vertigo/DC Comics based TV show ‘Lucifer’, and it’s a cop procedural! How innovative! I guess it doesn’t look terrible, but it doesn’t excite me all that much either. So let’s discuss the Lucifer trailer! Fox, the network that currently has a Batman based cop procedural, is now going for a Lucifer based cop procedural. Now Gotham works in the regards that it does follow Jim Gordon, who is a cop. Lucifer as a cop procedural though? Not sure if I’m buying that just yet. But first let’s talk about who this Lucifer fellow is. 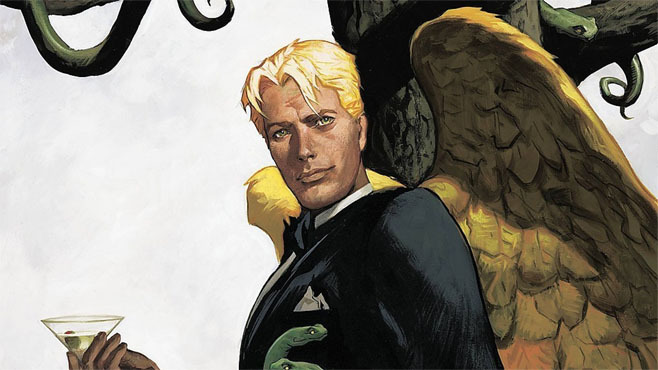 The TV show will be based off the character, Lucifer Morningstar. Lucifer was the ruler of Hell for 10 billion years before he got bored with it. He was sick of everyone blaming their personal mistakes on him, ‘the Devil made me do it’, to that he scoffed. So decides to retire and leave to go to LA, where he does what any retired Devil would do, open a piano bar. Lucifer is generally a pretty arrogant and selfish character. Pretty much every action he takes serves his own purpose. So if you think he’s helping you, he’s probably helping himself. However he does have a bit of a code: he never lies and always keeps his word (depending on his own interpretation of what his word meant), however don’t expect much compassion from him. One of the interesting aspects of the character, is what he represents, free-will. Lucifer doesn’t tip toe around anything, he does what ever he pleases, because he believes he has the freedom to do so. He doesn’t like that people blame the ‘Devil’ for their own actions, he doesn’t make people do anything, people do so out of their own desire. Which brings us to the trailer. 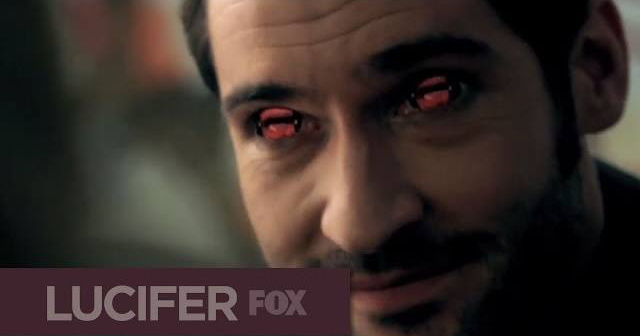 The trailer presents Lucifer as fittingly arrogant. He talks to a woman about how she made her own choice to ruin her life. The tone of the trailer is pretty light. Humour seems to be a big part of the show. In the comics Lucifer is often very sarcastic. But it looks like the main plot of the show, is Lucifer working with the LAPD. Hmmm…I’m not sure how I feel about that yet. I don’t want them transforming his character into some kind of hero. Sure he can do good acts, as long as he is getting something out of it. Lucifer is inherently selfish. So perhaps in the show, he will have some greater reason for working with the LAPD, something that serves his own needs. However the official synopsis of the show goes on to say, “For the first time in roughly 10 billion years, he feels something awaken deep within him as a result of this murder. Compassion? Sympathy? The very thought disturbs him”. Just looking at the trailer, it’s all very network tv-ish, if you know what I mean. Bright colours, humour, attractive people everywhere. Yes humour can be part of the show, but they shouldn’t be afraid to dive into the darker aspects of his character. Of course Lucifer can be charming to you, but don’t think he won’t sacrifice you if it means serving his own goals. So we know about the procedural aspect of the show, what will make or break the show is what they do for the overarching story arc. Anyways although the Lucifer TV show trailer didn’t blow me away, I’ll definitely check out the Pilot to see if the show has the potential this great character deserves. Never read the comic book but it sounds interesting, especially if they stick more to the character’s roots. I’ll be on the lookout for it. (and trying to fashion a procedural out of Mike Carey’s excellent examination of the Lucifer character’s all-consuming desire for freedom above all else – and what that means for everything on a cosmic scale – well…the signs are not good). The show is called Lucifer, they cant really go in the direction that they would like to just because of how controversial it’ll get with religious groups. Im a Christian and i find it offensive that this show will even air. So of course they have to water it down. The most interesting to me about this is that Lucifer had his own series. I’m reading Sandman now and just finished Season of Mists, so I’ll definitely be looking for that. The show sounds okay, but reeeaaalllyyy easy to screw up in the direction they’re going, so… we’ll see. The Preacher adaptation should be good though because it’s on AMC, so there’s hope! They are doing Preacher? That would be a perfect fit for AMC with their Walking Dead success. I better go and finish reading Preacher if it’s going to be a show then. Walking Dead I was lucky, I had read the first 100 issues in trades right around the time the show started, great show, but the comic is better. Brilliant book, but my favourite Ennis work by far is his 100 issues of Punisher. Wish they would make his Punisher run into a show not unlike the Netflix Daredevil model. No ads, no waiting, no compromises, no mercy! Yess, a Netflix Punisher TV show would actually be perfect!